Reclaimed wood furniture and barn wood furniture is an elegant and stylish rustic alternative to log furniture. Log Cabin Rustics is exited and pleased to be able to offer our customers authentic reclaimed furniture for every room in your mountain cabin, lodge, or country home. Choose from our wide selection of reclaimed wood beds, dining tables, rustic armoires, entertainment centers, and recycled wood decor and accessories. When you decorate with reclaimed wood furnishings, you not only enjoy its beauty and uniqueness, but you also feel good about helping the natural environment. Sustainable environmentally friendly furniture is not a new idea. Americans have refinished, re-used, and created furniture from weathered wood for centuries. Barnwood furniture was the first type of rustic reclaimed furniture, and was popular all over the United States and Canada. Generations of artisans and furniture craftsmen in New England, Texas, Montana, and other regions had their own distinctive styles. Today barnwood is becoming rare, yet the look and feel of naturally-weathered wood gets more and more popular every year. 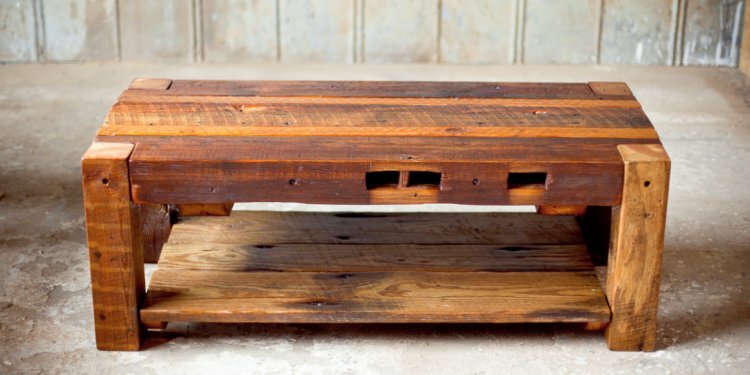 What is Reclaimed wood furniture?